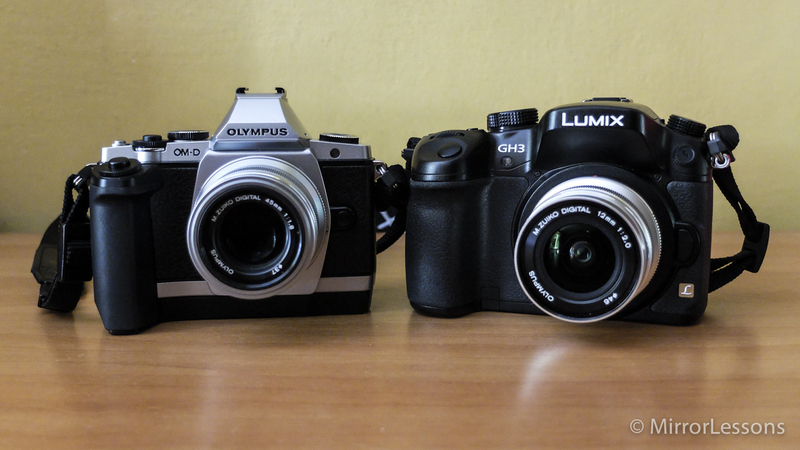 You are here: Home / Best Of / Which is the best Micro Four Thirds camera for 2013? Have you only just heard about Micro Four Thirds cameras? If so, you’re in for a treat. Micro Four Thirds (MFT) is a term used to refer to a mirrorless camera system produced specifically by Olympus and Panasonic. It was first announced in mid-2008 and has been thriving ever since. These cameras feature a MFT mount which is very similar to the Four Thirds system used in DSLRs with the exception that they don’t allow room for a mirror and pentaprism. As such, MFT camera bodies are smaller and more compact. It is for this very reason, along with their excellent image quality and speed, that the popularity of MFT cameras has soared in recent years. If you are considering buying a Micro Four Thirds camera, have a look at the list we’ve prepared below of the “best of the best.” We’ve divided the cameras into two categories: the best in terms of quality, and the best in terms of value for money. In this section, you’ll find cameras which deliver the best in terms of image quality, speed and overall performance. As you can imagine, these are also the MFT cameras which will take the biggest bite out of your paycheck. However, we can confirm that they are worth every penny spent! The Olympus OM-D E-M1 has taken the OM-D E-M5’s place as the best Olympus mirrorless camera available in 2013. Though technologically speaking it has more in common with the E-M5, it is actually the direct successor to the E-5, the last Four Thirds DSLR ever produced by Olympus. With the E-M1, Olympus has improved on the E-M5 in many ways, from the addition of Phase Detection AF and more ergonomic and weatherproof body to its improved 5-axis stabilisation and larger and more detailed electronic viewfinder. It is incredibly quick in terms of both AF and continuous shooting and has an improved sensor, allowing for better ISO performance, colour reproduction and dynamic range. It can also be used with Four Thirds lenses, which is why it is considered the E-5’s replacement. The E-M1 has been called the first MFT camera professionals can consider as a viable alternative to their DSLR. Be sure to check out a summary of our reviews so far! The Panasonic Lumix GX7 is Panasonic’s latest release. It sits beside the GH3 as the company’s newest flagship, and has been built to compete with the likes of the Pen E-P5. As the first Lumix camera to include internal stabilisation, it can be used with all Olympus lenses and some third party lenses. It features an excellent video codec, a useful electronic shutter that is completely silent and works up to 3200 ISO, and the beautifully built and carefully thought-out body. It is also the most compact professional-grade MFT camera out there. Our review of the GX7 is coming soon! The Olympus OM-D E-M5 used to be Olympus’ flagship until the E-M1 came onto the scene. 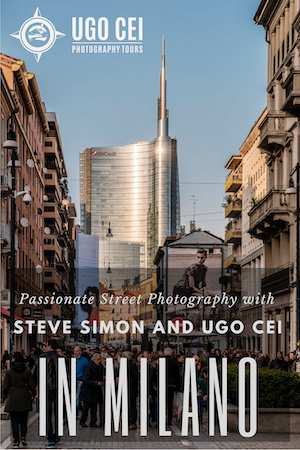 It features a built-in EVF, 5-axis stabilisation, super fast autofocus, a TruePic VI Image Processing Engine, high ISO performance, great dynamic range and colour reproduction, and a stunning retro design. It is also the camera Mathieu of MirrorLessons has chosen to replace his Nikon D700 as the main body for most of his professional work. Head over here to read our full review or check out our comparison between the E-M5 and the Fuji x100s. The Panasonic Lumix GH3 is the best Panasonic mirrorless camera to date along with the GX7. Not only does it perform well as a photography camera, but it is endowed with professional motion picture features which make it perfectly useable for short films and video clips. It has a wonderful design, great image quality, a very effective autofocus, and an easy-to-use menu. About the size of a small DSLR, it is nice to hold and easy to carry around. We often use it to make our video reviews, and Mat has taken it along on film projects more than once. You can see our full review here, or read our review of its video functions. The Olympus PEN E-P5 is the new kid on the block. Just announced this month, it is set to become the flagship for the PEN series. It features many of the specs of the E-M5 (fast AF and continuous shooting, TruePic VI Image Processing Engine, retro design, impressive image quality even at high ISO) plus a few improvements such as 1/8000 shutter speed, updated 5-axis image stabilisation and Wi-Fi capabilities. The only thing it lacks from a professional standpoint is a built-in electronic viewfinder. We’ve yet to try this highly-anticipated camera from Olympus, but we are sure it won’t fail to impress. The Panasonic Lumix GX1 is a camera that has drastically come down in price, and it is also a number one bestseller. It comes with much of the latest technology, including a 16MP sensor, a touchscreen, loads of external dials, high image quality, and speed comparable to that of the speedy GH2. For the enthusiast, it would be hard to find a better camera at such a price. As I mentioned above, the Olympus PEN E-P3‘s price has dropped like a rock due to the recent release of the E-P5. However, this camera is far from undesirable. It comes with a 12.3 MP sensor, the same TruePic VI image processor found in the E-M5, good low-light performance, and fast AF tracking system. Between it and the GX1, enthusiasts will face a very tough decision! So, there you have it – the best Micro Four Thirds cameras for 2013! If you have any questions about these cameras, feel free to send us a message or leave us a comment. We’re always happy to dish out advice, especially where it concerns our beloved MFT!